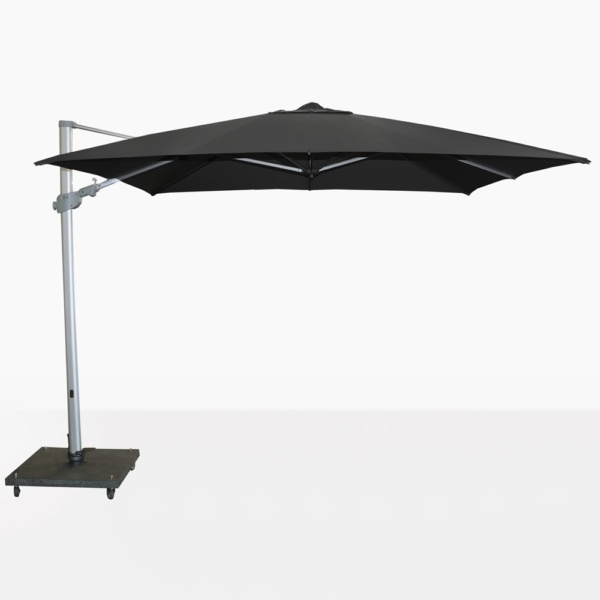 Relax in your outdoor space on sunny days with the Mauritius Cantilever Umbrella overhead. 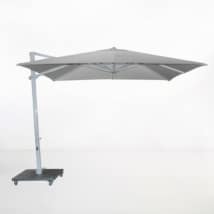 This large, classy, and functional 10 ft. square cantilevered umbrella will provide ample coverage over a large relaxing or dining area whether poolside or in your garden. The Mauritius Patio Umbrella is easy to use and operate. 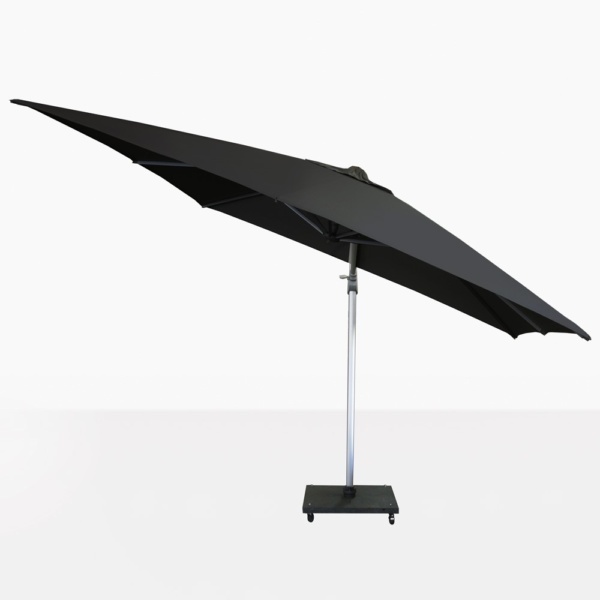 It tilts left or right to follow the sun. The overall height of the Black Mauritius Cantilever Umbrella from ground to the top of the white canopy is 105”, this includes the height of the base. 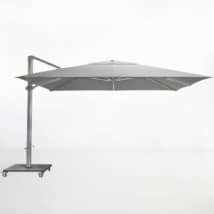 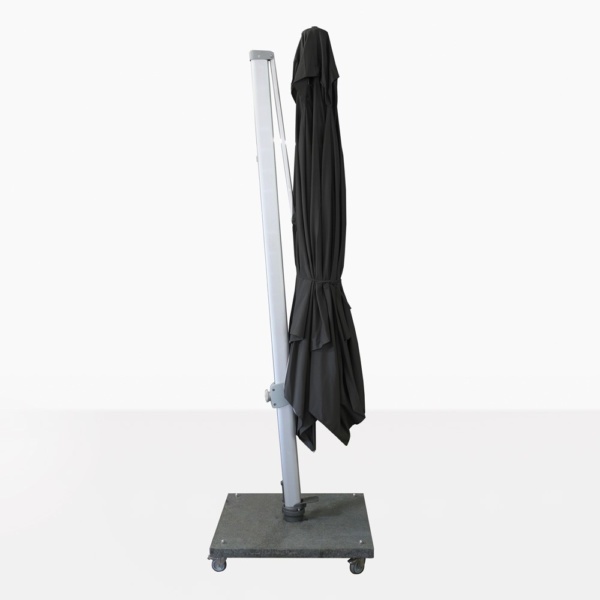 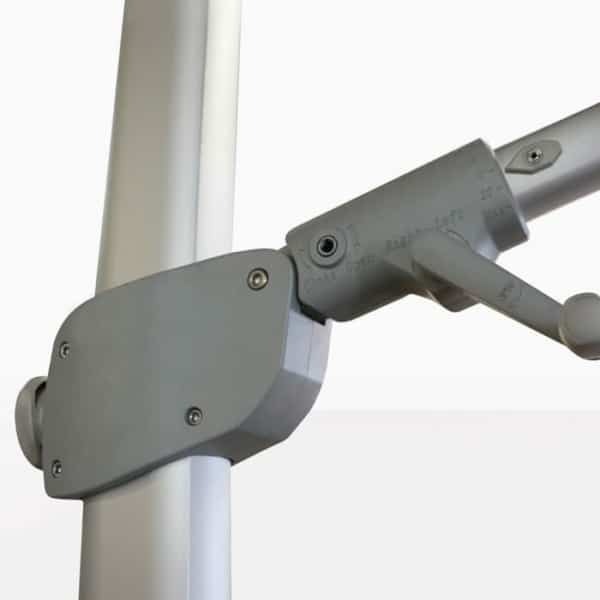 The granite base with wheels is included in the price of the cantilever umbrella as shown. Please call or email us today with any questions about any of our products.